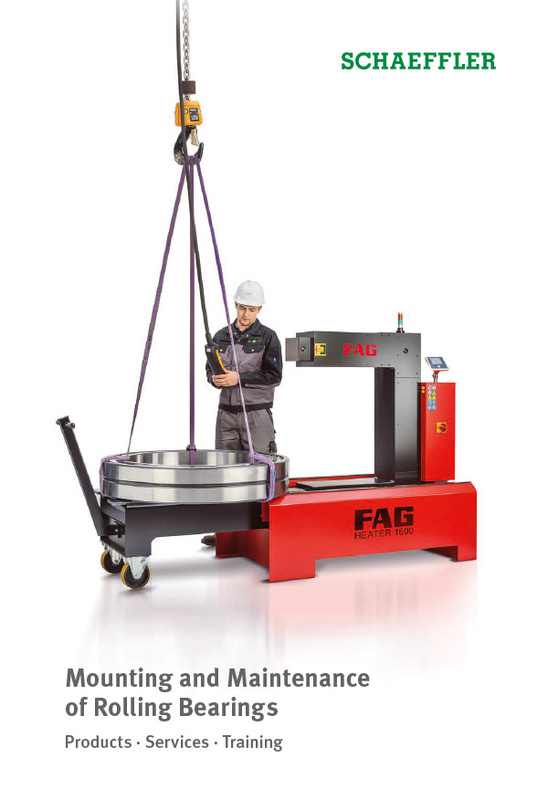 Unlike induction heating devices, induction units with medium-frequency technology are not only suited for heating prior to mounting, but also for removal. They can also be used to heat up very large and heavy components. Adequate expansion of the bearings is achieved in most cases at +80 °C to +100 °C. During the heating operation, the maximum heating temperature must be observed. The temperature of rolling bearings must not normally exceed +120 °C in order to prevent changes to the structure and hardness of the bearing. In all devices for heating, the temperature can be steplessly controlled. This equipment can likewise be used in mobile applications thanks to its high flexibility and compact design. It can therefore be used, for example, at construction sites for wind turbines or for other large components that are difficult to transport. 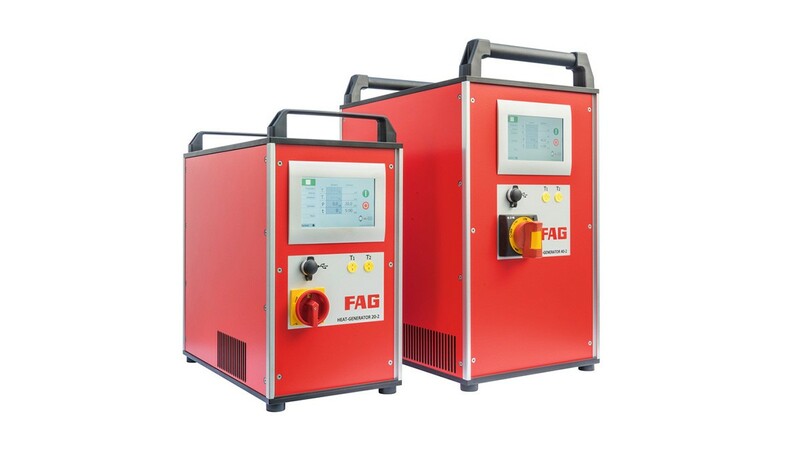 The equipment comprises a generator and inductor that is positioned on the workpiece. A rigid or flexible inductor is used, depending on requirements. Flexible inductors can be fitted in the bore or on the outside diameter of the workpiece, depending on the application in question. Flexible inductors are suitable for heating up bearing inner races and large components such as machine carriers in wind turbines. The length of the inductor is determined in relation to the dimensions of the workpiece. Rigid inductors are especially well suited to series production as here, it is not so much flexibility that counts, but short setup times and high process reliability.